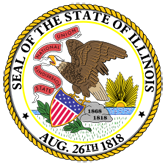 Press Release: Southern Illinois Highlights The not seasonally adjusted unemployment rate declined to 5.7 percent in August 2015 from 7.1 percent in August 2014 in the Carbondale-Marion Metropolitan Statistical Area (Jackson and Williamson Counties). Unemployment decreased in all 21 counties in Southern Illinois when compared to one year ago. 1. Unemployment Rates Down; Job Growth Remains Slow and Uneven (15-0903-IDES_Region_9_Release.pdf).